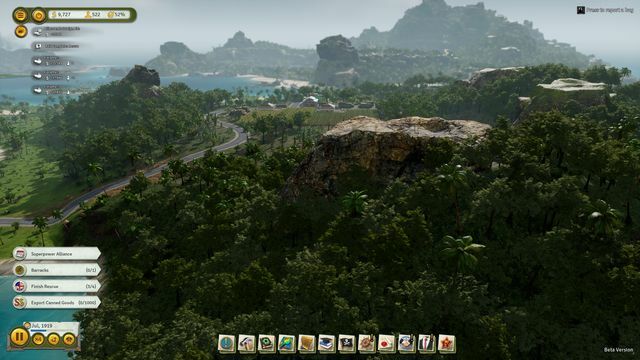 It has recently been announced that Tropico 6 won’t be coming out quite as soon as we wanna be El Presidentes would have hoped and has been pushed back to 29th March 2019. Kalypso say that it needs more time to add finishing touches and to give the game more polishing before they are happy for it to be released. I’ve been playing the beta for some time now and there are a few bugs as would be expected but in my humble opinion it was already looking pretty darn good. As a good will gesture Kalyspo are giving away the first DLC pack for free as long as you’d pre ordered before January 10th. Although I want to play the full game as soon as possible I would much rather wait a little and get to play the game as Kalypso want it to be rather than a partly finished version that needs patch after patch to fix.